Breakfast, lunch or dinner is served! 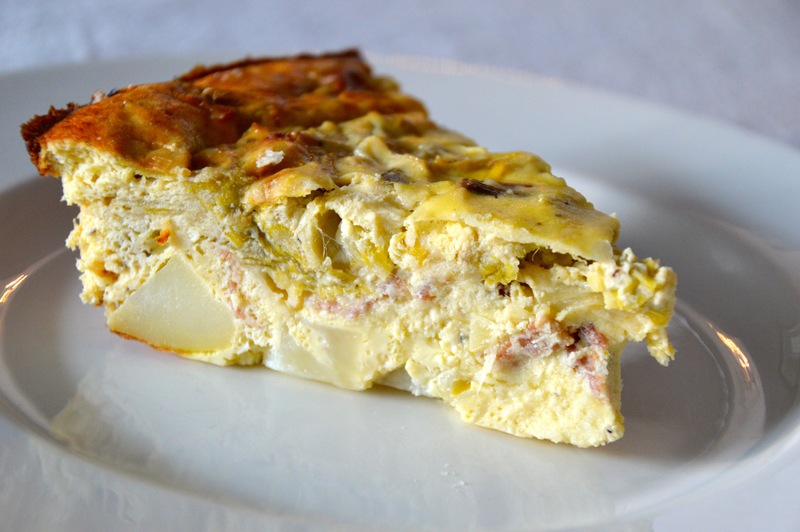 I tossed around some other names for this dish: Leftovers Pie, Crustless Quiche, Make-Ahead Magic for Overnight Guests, Zap-n-Go Anytime Meal Slices. Some of these are better than others, but they all would work. 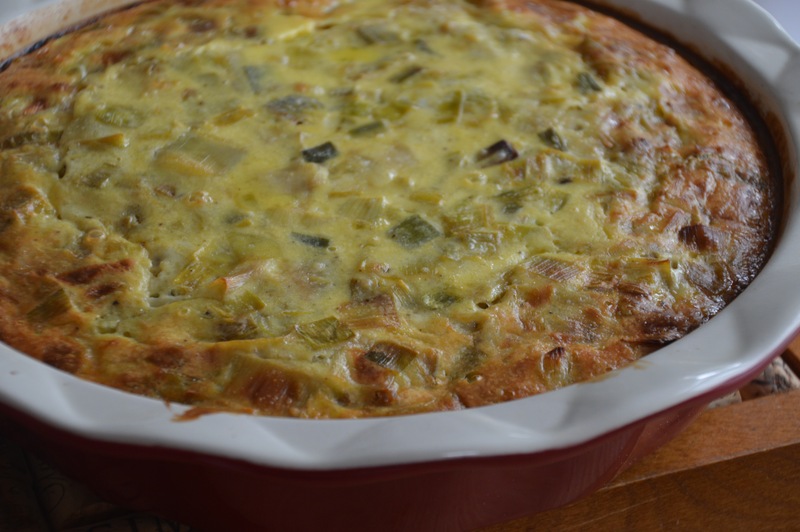 Frittata sounded a little fancier – worthy of the leeks I used in it this time, but it’s not a traditional frittata. It’s also not as heavy as a cream-laden quiche, but I think you get the idea. 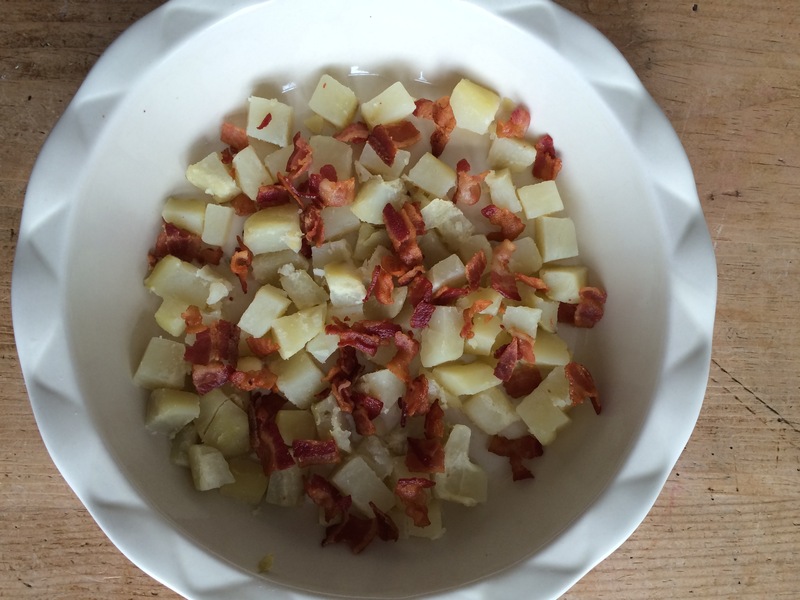 I’ve made similar versions without the leeks – just a lone, leftover baked potato and some bits from the Christmas ham. That was good too! 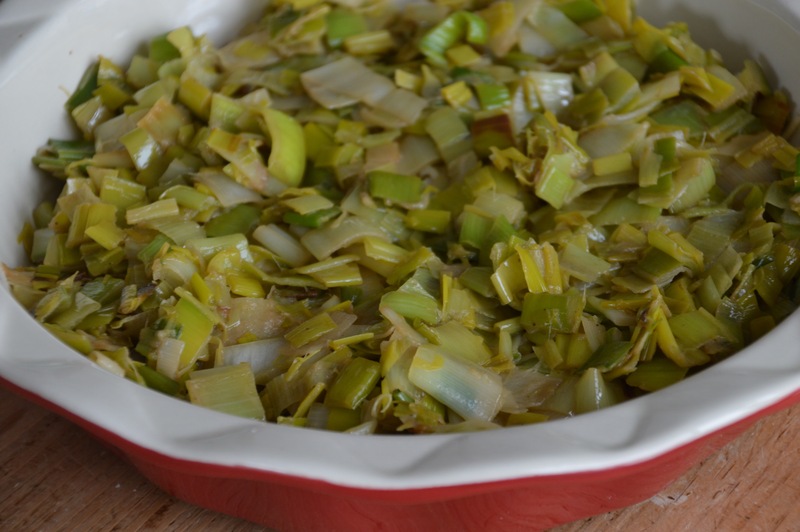 But leeks work really well here and bring a much-needed glimmer of spring to the table. Every time I buy and cook with leeks, I’m left wondering why I don’t have some in my fridge at ALL TIMES. Yes, they can be intimidating-looking at first – sometimes almost two feet long, and often covered with dirt and grit. (To me that just says “fresh” and “minimally handled”.) They’re worth the effort to clean up, though. Leeks are like onions after charm school: less of an edge, a little more refined, with a more colorful personality. I’m stocking up from now on! 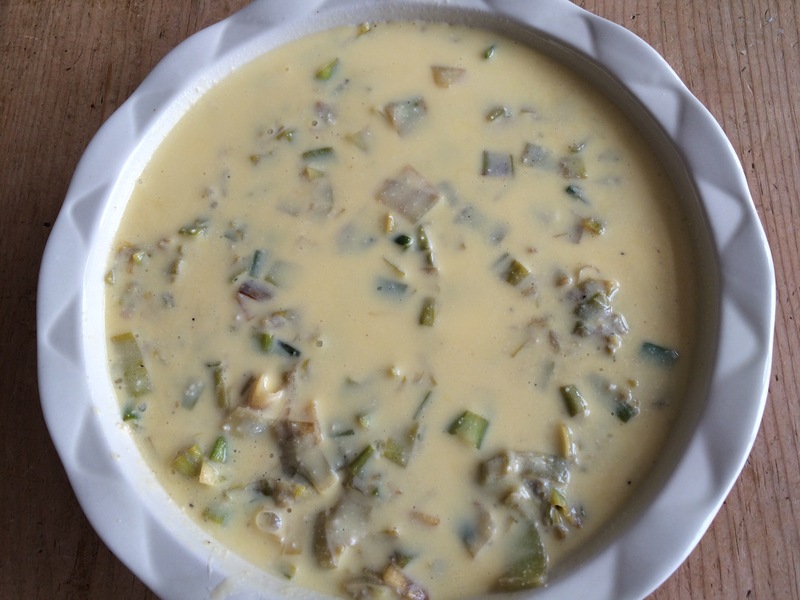 Corn & Leek Chowder on deck for the weekend. 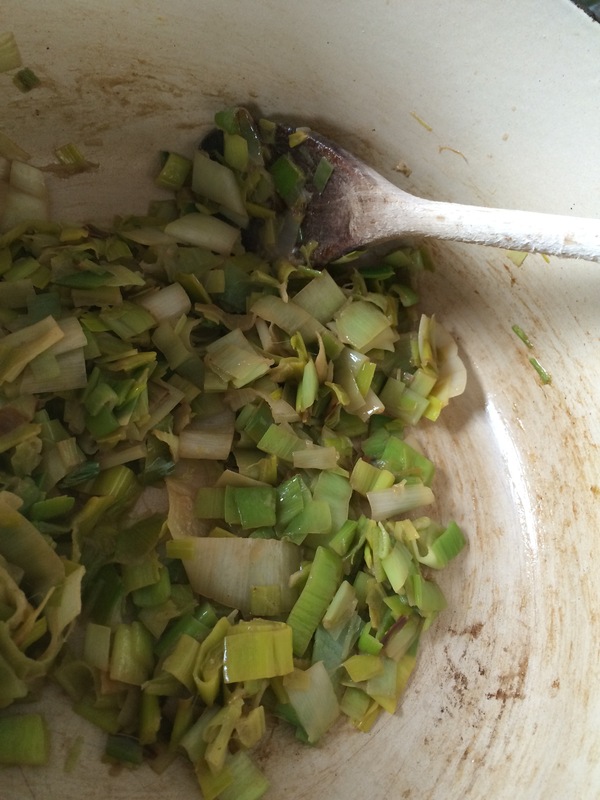 Whittle dark green tops off the leeks as if sharpening the tip of a pencil with a jackknife. (If you cut straight across, you’ll be wasting the tender light green parts in the center.) Cut off root end, and then slice leeks crosswise into ½” pieces. 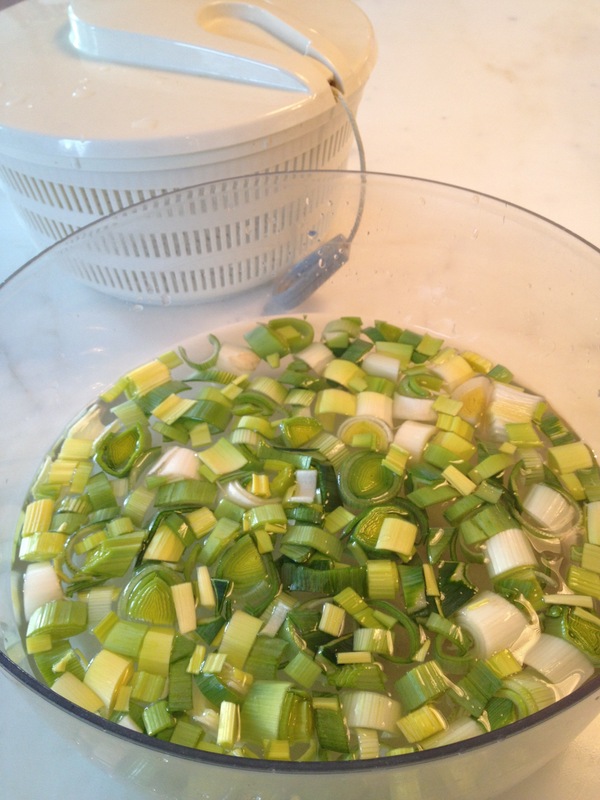 Then place sliced leeks into a bowl of cold water (or the bowl of a lettuce spinner) and swirl to wash off all grit. Let leeks sit in the water a few minutes to let all the sand/dirt to sink to the bottom. Because gritty leeks are a bummer, I repeat this step before spinning the leeks dry. 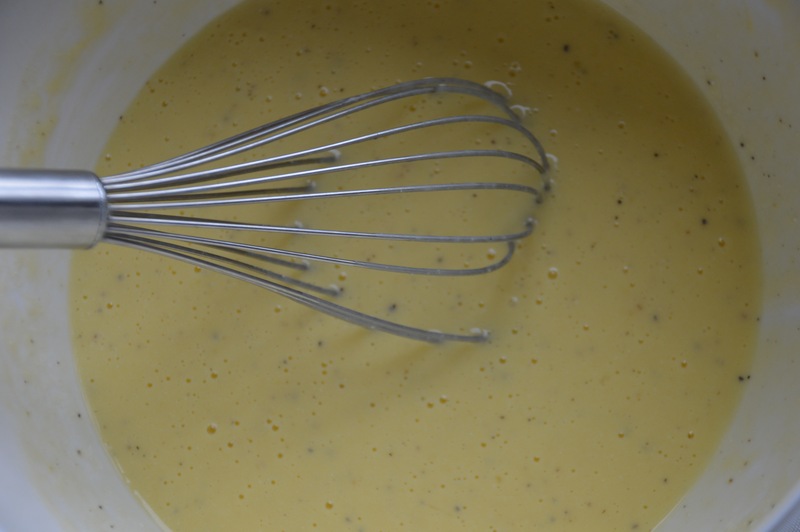 To the same pot, add 1 tablespoon butter, leeks and ½ teaspoon kosher salt. Stir and cook for about 5 minutes until leeks have started to soften. Add ¼ cup water to deglaze the pot, scraping up any leek bits from the bottom. Reduce heat to medium and cover pot for another 5 minutes, until leeks are tender. Turn off heat and keep pot covered. Why use two pans when one will do? Just let the softened leeks hang out in the covered pot to make sure they’re good and tender. 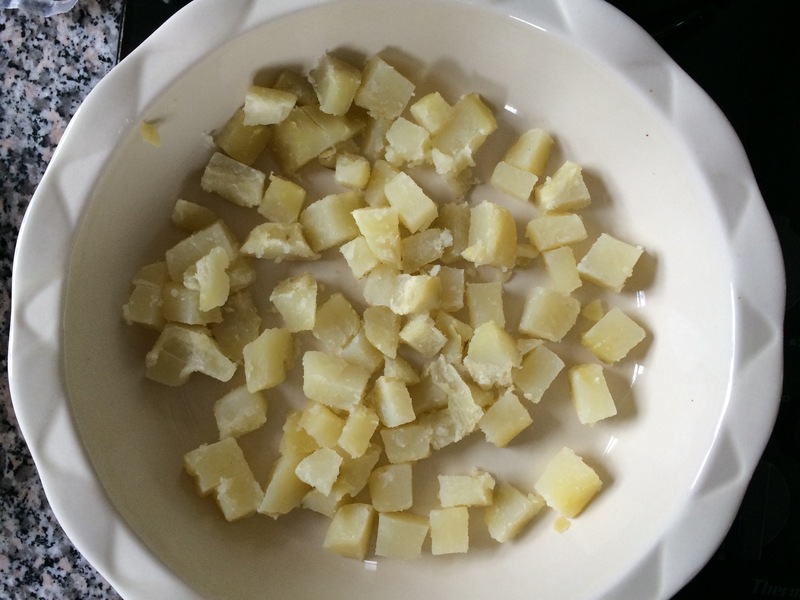 In a 9” pie pan, scatter potato cubes across the bottom. 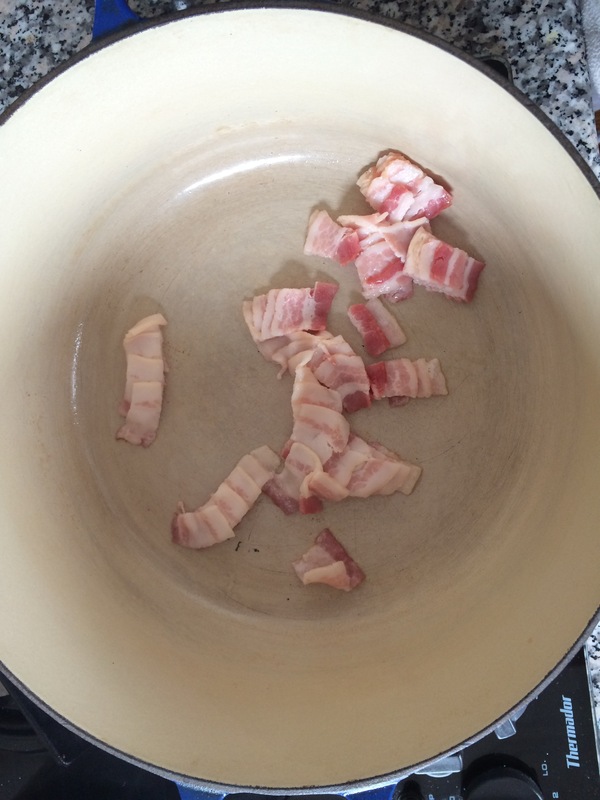 Then scatter cooked bacon, gruyère cheese and leeks. 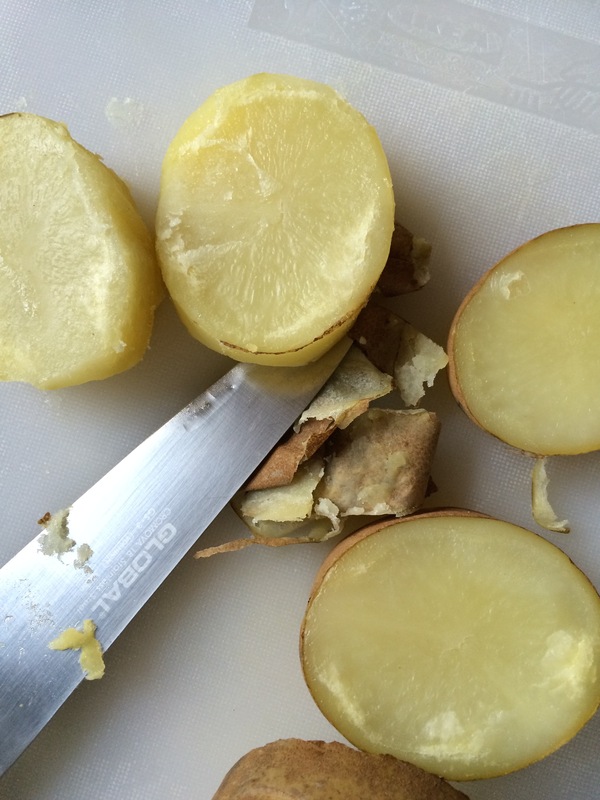 Note: If you don’t have a cooked potato on hand, you can steam one quickly if you slice it before cooking. Then slip the peel off afterwards, if desired. 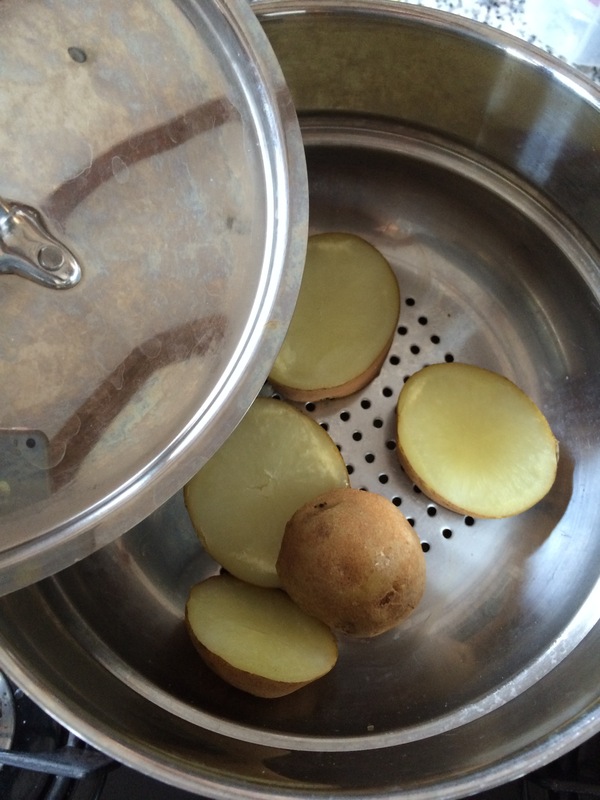 Steaming a potato. Yukon Golds will be a little less grainy than a russet/Idaho potato, but both will work. Potato skins slip right off after steaming. 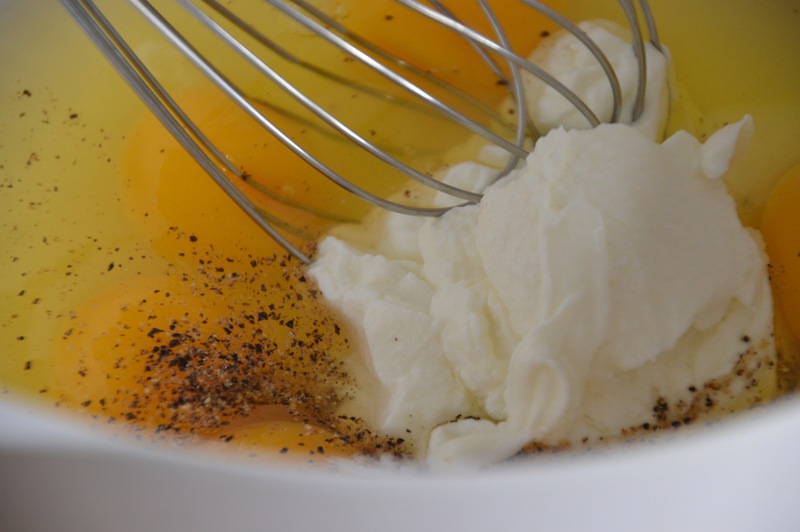 In a large bowl, beat 8 eggs with ricotta cheese, grated parmesan, kosher salt and pepper until smooth. Pour into pie pan over other ingredients. The center may not get browned; that’s OK as long as it’s set and the toothpick comes out clean. Serve hot or at room temperature. Can be made several days ahead. Reheat slices in the microwave (about 1 minute). This entry was posted in Breakfast, Brunch, Entertaining, Healthy Indulgences, Leftovers, Main Courses, Uncategorized, Vegetables and tagged bacon, baking, breakfast, brunch, eggs, leeks, make-ahead meals by subeeskitchen. Bookmark the permalink. Let me know what you think of this version! 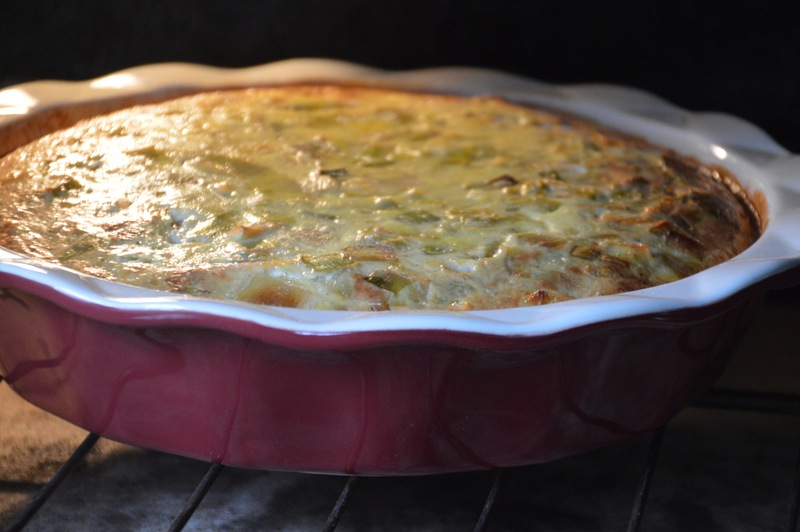 Do you use ricotta in your fritattas? Sounds & looks delicious! I appreciate your advice on how to clean leeks! This looks like a great and easy recipe. I have a similar recipe from Auntie Myrtle (although it is quite differently similar), a dinner and left-over standby. 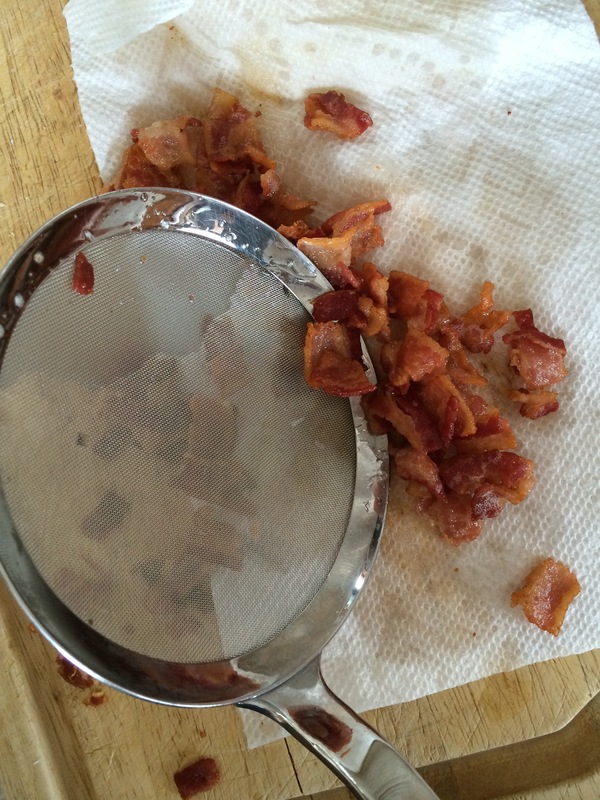 Because of the vegetarian in the household I delete the bacon, and it still is good, your recipe will be great too. Myrtle was the queen of re-crafting leftovers! 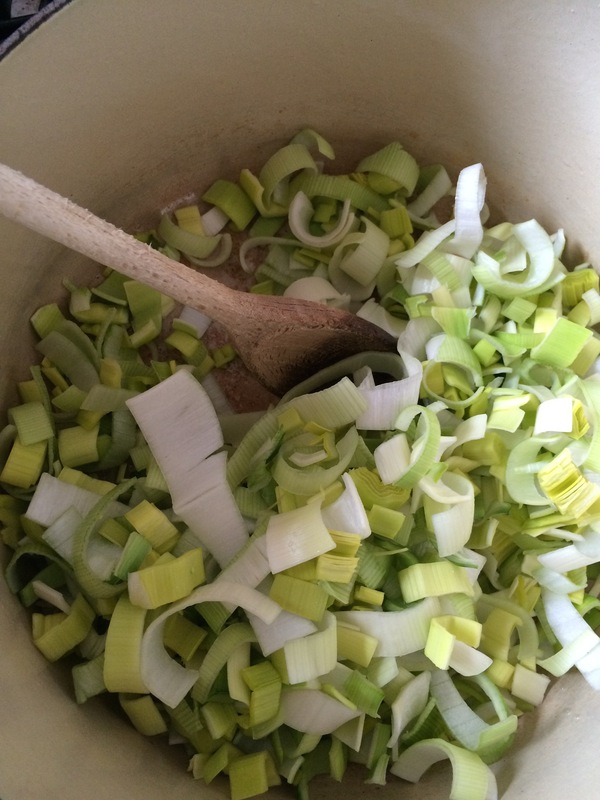 Hi Heather – I have indeed used TJ’s frozen leeks before (always happy for a shortcut myself!) 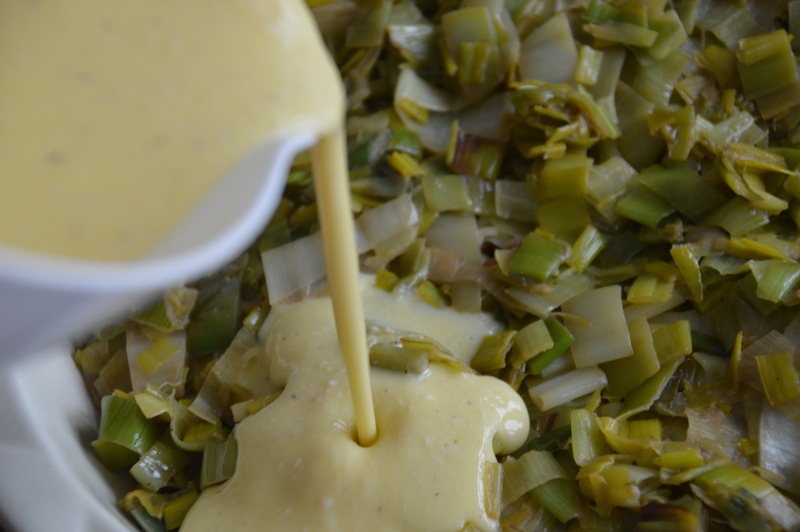 I think they’re best in soups (pureed potato leek) or braised dishes, so that the leeks can become fully tender. You could try them in this dish, though I’d probably still want to cook them before adding to the frittata. (To make sure they’re tender and to let the excess moisture evaporate.) Let me know how it goes! Hi, Seattle Jo! Did you make the frittata? Always like to hear how things turn out. Did you add any other Welsh pizzazz?? Cheers!